There was a time when Puri Jagannath used at least three new releases each year. Things were not the same & the filmmaker must now blame themselves for delivering movies with sub-par content. 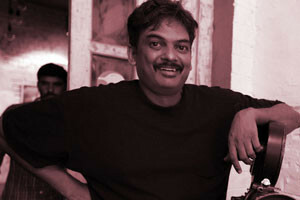 'Temper' was last commercial success Puri's. All three films (Jyothi Lakshmi, Loafer, ISM) released after the Cop Drama were disasters. In the past six months, Puri approached NTR, Venkatesh and Balakrishna, but none materialized from those projects. Tarak refrigerator his project with Puri after 'ISM' flopped. Although Venky gave his consent, has Remuneration demanded by the Director slowed this company. A conclusion was not reached even at Balayya Project. As Puri slashes his pay package in light of his recent failures, various production houses & Heroes come forward to work with him. It seems that, "Rogue" is the only hope for Puri Jagannath at this time. If this film ends as a failure, He would make another film with Ishaan in honor of the three-film deal with Kannada producer CR Manohar.